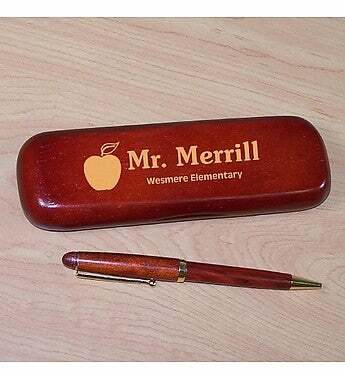 Each Engraved Teacher Rosewood Pen Set has a matching rosewood case for convenient storage and makes for a beautiful gift presentation for any teacher or recent graduate! Pen measures 6" in length, black ink and features twist action ballpoint operation. The pen can be refilled with a standard Parker refill.